Marathon Electrical Pty Ltd is an Accredited member of Master Electricians based in Victoria. Following their success in the 2018 APAC Excellence where they were awarded the title Leading Electrical Service Provider of the Year 2018 Australia, we invited Owner Brett Singh to talk us through the secrets behind the firm’s success. Since its inception back in the 1980s, Marathon Electrical has been offering professional electrical contracting services carried out by highly skilled and qualified electricians to clients in and around the Gippsland Region of Victoria. Brett discusses how the firm has evolved since inception into the success it is today. 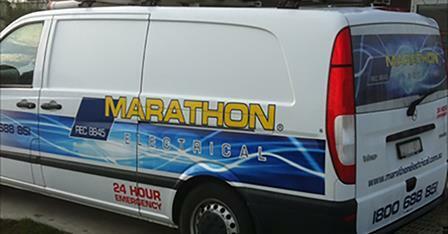 “Marathon Electrical commenced as a small family business but quickly outgrew our premises and partnership status. This necessitated us becoming a Company and relocating to our new purpose built office/workshop complex of 430m2. From our modern well-equipped depot and showroom premises in Sale, we offer our clients a full range of quality services carried out by fully qualified electricians. Using the most up-to-date methods and technology available, we can take care of all types of electrical issues. This high standard of service includes a 24/7 emergency callout service, as well as the firm’s knowledgeable and friendly staff, all of whom work diligently to ensure that clients receive the service and support they need. Brett discusses the importance of the Marathon Electricals’ staff and how they work to ensure that clients always receive an approachable, expert service. “Here at Marathon Electrical, our dedicated team of electricians and administration staff have worked on numerous high profile building projects over many years and continue to provide the highest levels of customer service and support to many more. From homeowners to big businesses, we value every one of our customers. 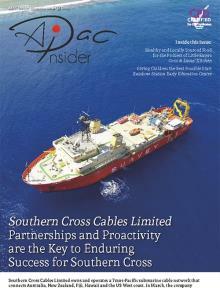 “Being an Australian Company gives our employees the opportunity to have a real work/life balance. As a group they enjoy the outdoor lifestyle which includes fishing, four-wheel driving, camping, sports etc. We also have rostered days off which means they have many more long weekends than most countries. This combined with the Australian climate means our employees are happy, fit and healthy which shows in their work ethics. This focus on innovation and providing clients with the service they need is what truly sets Marathon Electrical apart from the rest, as Brett concludes.